The team behind a new affordable multisig bitcoin wallet say their product has security features that make it almost immune to hacking attacks. The Ledger Wallet Nano is the result of a merger between three French startups: La Maison du Bitcoin, a bitcoin centre in Paris; BTChip, a hardware wallet manufacturer; and Chronocoin, an exchange platform. Priced at €34.90 (or 0.1213 BTC), the USB device contains a banking-grade EAL5+ smartcard, the same as found in credit cards. Additionally, as a hierarchical deterministic wallet (BIP32), the Ledger can hold an infinite number of bitcoin addresses. Connecting to each user’s computer through their USB port, the device carries out cryptographic work, such as signing bitcoin transactions, inside its own protected environment. Once safely initialised, it can even be used without risk on an insecure or compromised computer, its makers claim. Notable hacks in the bitcoin space over the last year have highlighted the need for improved wallet security. While two-factor authorisation, multisig and the other technological improvements being ushered in by online and mobile wallet providers do offer some peace of mind, the general advice is to keep any significant amount of bitcoin in ‘cold storage’, such as paper wallets or drives not connected to the Internet. Dedicated hardware wallets are increasingly being pitched as solutions that offer equivalent or greater security with added convenience. Hence, the recent arrival of new devices such as the Trezor wallet, and the ongoing development of other solutions, such as CryptoLabs’ Case. 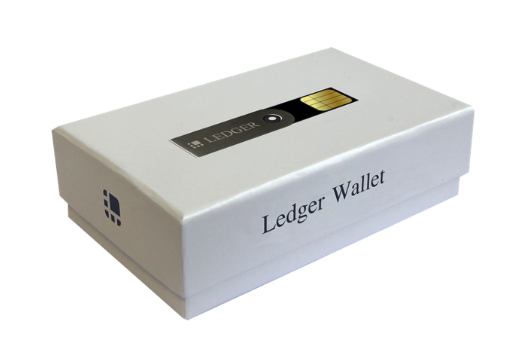 In turn, the Ledger Nano is an evolution from BTChip’s original multisig HW-1 hardware wallet. Eric Larchevêque, co-founder and CEO of Ledger, told CoinDesk that, despite all its challenges, bitcoin brings many opportunities for startups. “We had, from the beginning, identified consumers’ bitcoins protection as critical,” he said. To use the Ledger Nano, all the user needs is the device itself, the supplied ‘second factor card’, a computer (with Windows, Mac or Linux OS) with a USB port and a recent version of Google Chrome. The wallet interfaces with the user’s computer through a dedicated Chrome app, which must be pre-installed. No additional software installation or account creation is needed, the team says. After initialization of the Ledger, the user is provided with a deposit public address to which they will be able to send their bitcoins for storage. To allow the wallet to be restored in the event of loss or theft of the device, a mnemonic seed for a master key is randomly generated when the device is initialised, which must be written on a paper backup and stored safely. Importantly, the wallet does not need to be restored onto another Ledger wallet, any BIP39 compliant software solution will work. To be able to access their bitcoin, Ledger users will need three things: the Ledger Wallet, a PIN and a second factor card. If one of these elements is missing they will not be able to sign a transaction. This behaviour, the firm says, is guaranteed by the use of the smartcard, which offers a banking-grade “walled garden” that conceals any critical information and would “take weeks” to crack, even if a hacker had possession of the device. Even if malware on the computer could steal the PIN, the company says, it would still not possible to execute a transaction, since a second-factor verification is mandatory. The ‘second factor’ is a unique security card (pictured above) that is paired with the device upon assembly in the factory, Larchevêque explained. It is used to verify the payment address (so users know malware didn’t change it), or, in the near future, to pair a mobile app with the wallet, which will then act itself as the second factor. The mobile app option should become available in January, he added. “Malware cannot even reset the wallet by sending three wrong PINs, because before trying a new PIN it is necessary to unplug and replug physically the wallet to the USB port,” the firm’s website says. Importantly, that upcoming screen will address the one weakness that the team concedes with the device: if the Ledger is initialised on a compromised PC, the seed can be stolen. Hence, it says, it is absolutely essential to first use the Nano on a secure computer. BTChip started working on the HW-1 in 2012 and launched the product back in September, before joining with its new partners on the Ledger project. 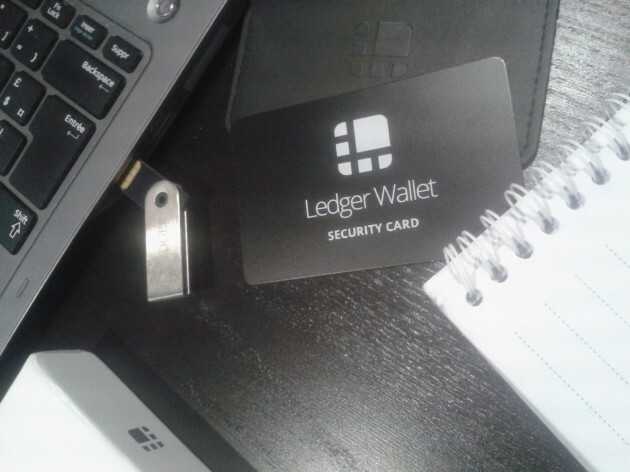 In the conversation with CoinDesk, the company’s CEO was extremely positive about the future for the Ledger product and hardware wallets in general. CoinDesk has now reviewed the Ledger Wallet Nano.